A great starter camera drone for any family. Professionals should look elsewhere. Not everyone is a drone expert, because not everyone wants to be. 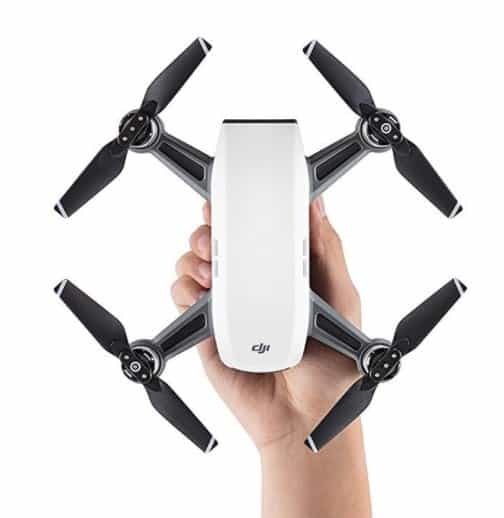 For those of us who want the experience of flying a drone and taking beautiful images and videos without training to be a pro, the newly released DJI Spark mini drone is perfect. Though small enough to fit in the palm of your hand, it comes has enough power and features to meet most casual consumers needs – and then some. The Spark isn’t close in terms of features or camera quality as it’s bigger and more expensive cousins, the Phantom 4 Pro and DJI Mavic Pro. 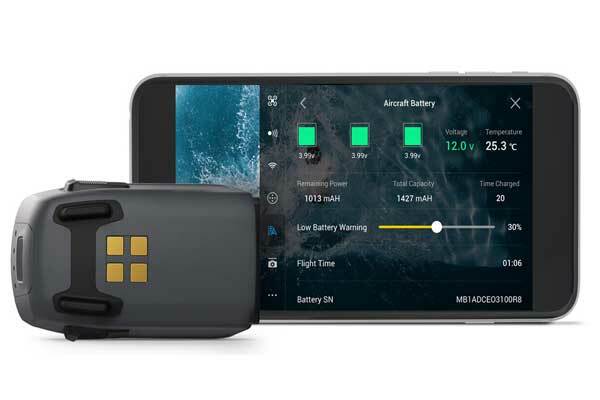 Its battery life is also low compared to more powerful camera drones, and the range is limited. 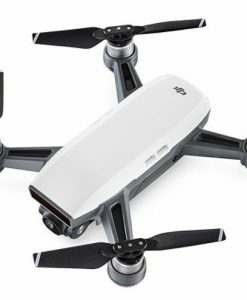 But the DJI Spark is not trying to be like its powerful siblings. 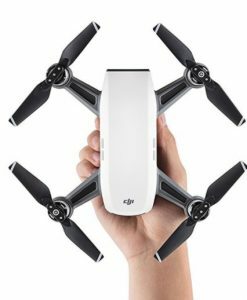 It is designed for the casual user who just wants to snap a few panoramic pics, shoot a short video from above or simply get a feel of drone flying. In this job, it’s as good as anything else flying today. Where it lacks in raw power, the Spark makes it up in intuitive control. Fly the drone for a few minutes, and you’ll start thinking it’s a natural part of you. It is full of features that seemingly understand what you need and deliver it flawlessly. Take launch control, for example. 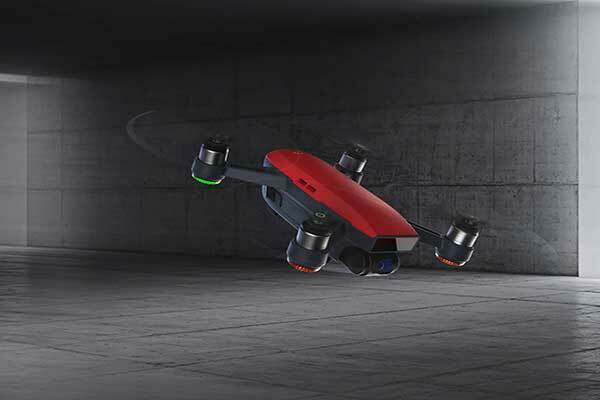 Because of its size, the Spark drone can launch from the palm of your hand. And you don’t even need to press a button. Once turned on, it uses an intelligent feature called FaceAware to launch. By recognizing your face, it automatically lifts and hovers in the air. Once up, one of the most fun features to try out is the selfie. 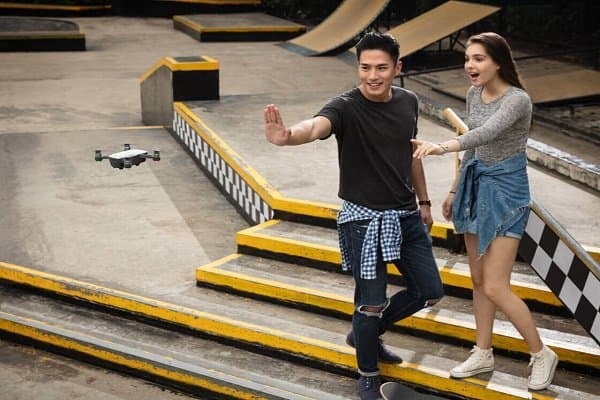 Instead of pressing a button on a remote controller or phone, simply use your gestures to move the drone into place and snap a selfie. The wide angle lens perfectly captures individual and group selfies. If you want more adventure, take the drone out for a ride high in the sky. There are yet more exciting tools to try out. You can shoot pro footage with just a tap. 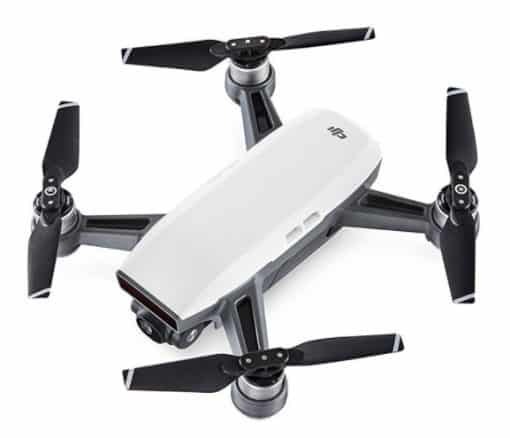 By selecting one of four options, the drone will fly in a specific pattern, producing incredible footage that rivals that of professional filmmakers. Options include Rocket where the drone flies straight up, Drone where it flies backward and upward, Circle where it flies in a circle and Helix where it ascends in a spiral pattern. In all cases, the camera locks onto an object ensuring it remains the center of attention. 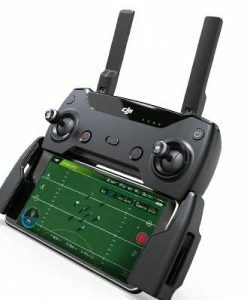 There is also TapFly, which allows you to control the direction of the drone with a tap on your phone screen. You can direct the drone to fly either to the spot you just tapped or keep flying in the direction you have tapped. Then there is ActiveTrack. This feature comes in handy if you are shooting a moving person or object. 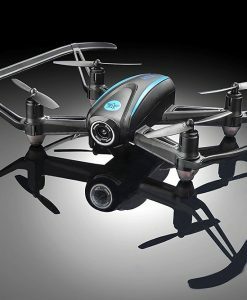 The drone can lock onto the profile of the object and follow them from the front or rear or even from a fixed position. Handy for capturing someone running or cycling. The compact drone may lack the speed and range of other great camera drones, but its camera is a pleasure to be reckoned with. To make sure the camera does its job well, the drone itself is engineered for maximum stability even in strong winds. A mechanical 2-axis gimbal further ensures you don’t get any shaky footage and pictures. The f/2.6 wide-angle lens on the camera captures details on the ground in stark detail and unmatched clarity. 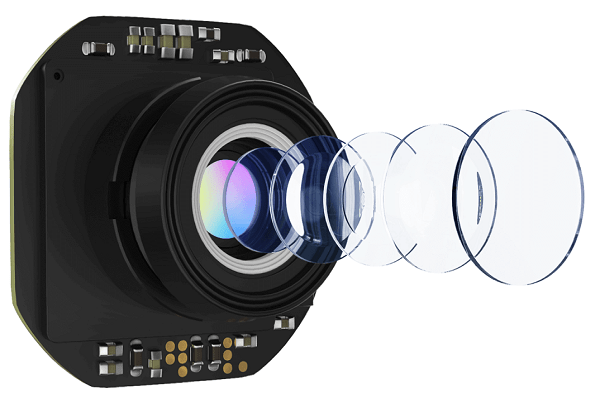 Thanks to the 1/2.3 inch CMOS sensor, the camera can capture beautiful footage at 1080p and images at 12 MP. At this point, it is important to point out that this is not a camera drone for serious photographers and filmmakers. As a casual drone, though, it is very powerful. 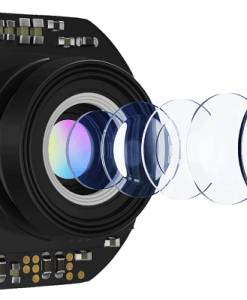 The camera is roughly equal to a good point-and-shoot digital camera and a bit better than the one on an iPhone 7. 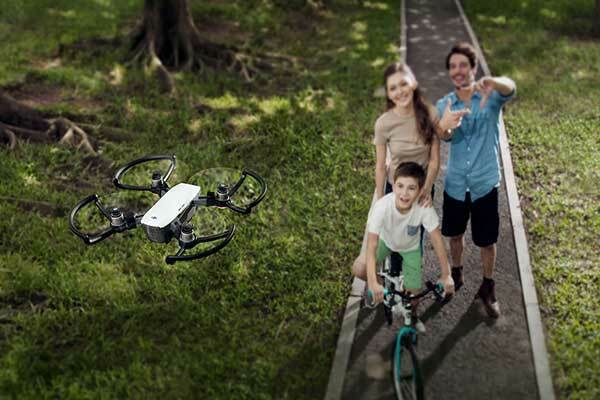 It’s perfect for family selfies, backyard shots, and amateur drone hobbyists. 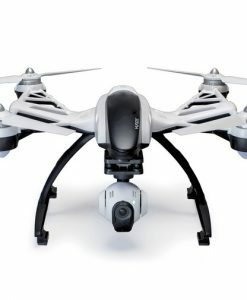 But if you are looking for a drone to capture cinematic 60fps or 120fps footage, try the Mavic Pro or another pro camera drone. 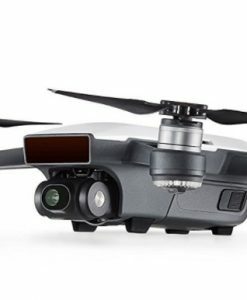 The Mavic Pro, for instance, can shoot 4K videos. 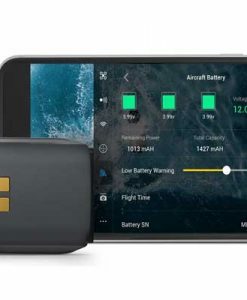 The Spark camera can shoot images in either Pano mode (for breathtaking landscape photos) or ShallowFocus mode (for closeup shots with the background blurred). This gives you some versatility for different situations. One other feature is the HD Wi-Fi technology. 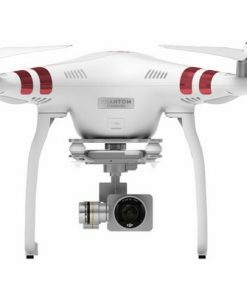 It allows the drone to stream 720p footage in real time from as far away as 1.2miles or 2km. This allows for some exciting FPV (first-person view) control. This feature will get even more exciting when DJI gives the Spark DJI Goggles compatibility, hopefully soon. The editing and sharing features are a bit basic but perfect for those who don’t want to spend a lot of time tweaking the images or footage. Editing is done in the DJI GO 4 on your smartphone. Casual users will benefit most from the lightweight and intuitive editing features on the app. On autopilot, the editor will create a short video from all your clips and even add music and pro-like transitions. Don’t expect a perfect compilation. The automated editor easily misses the best parts of your footage and can spit out quite an awkward video. But you can easily delete the unwanted parts out of the video. For more control do the editing yourself. You’ll need to download the clips from the SD card on the drone, which takes time and eats into battery life. For an easier time, just remove the SD card from the drone and plug it into your phone. You can then pull the footage and images directly from there without requiring WiFi. If you want a more professional look, ditch the app editor altogether and use a full-fledged desktop editor. 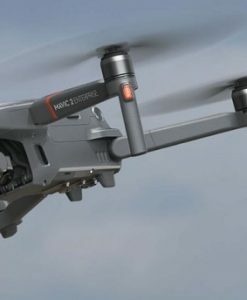 Remove the SD card from the drone and connect it to your computer. This will produce higher quality videos at 24Mbps compared to the 5.3Mbps videos the app produces after editing. What I love most about the DJI Spark is the versatility. If you are a casual user who just wants to share holiday videos online, the simplified editor is there for you. You can even share your images and footage right from the app. If you are a developing amateur who wants something a bit more professional, you are not stuck with the app. You can move the clips to a computer and do with them as you please. DJI does not take safety for granted. 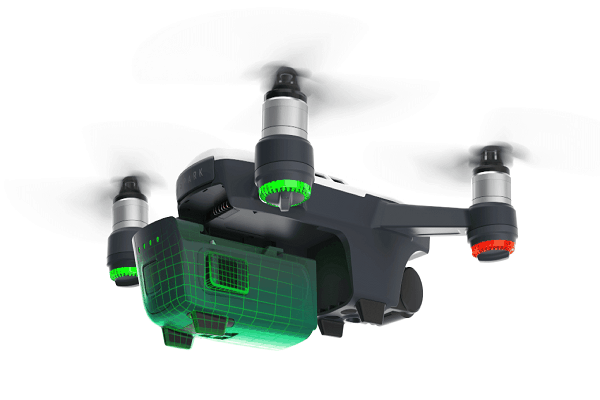 The Spark is equipped with a full range of safety features designed to keep the user and the drone safe as well as ensure you don’t cross any regulations. For one, the drone is always aware of its environment. This allows it to launch and land safely and avoid obstacles when flying. This is enabled by a feature called FlightAutonomy. This consists of several components including the camera’s VPS (Vision positioning system), a 3D sensing system, GPS and GLONASS, an inertial measurement unit and internal positioning computers. In fact, using VPS, you can hover the drone inside the house without hitting the ceiling or any objects. When outside, the drone employs all available positioning features to maintain flight safety and coordination. 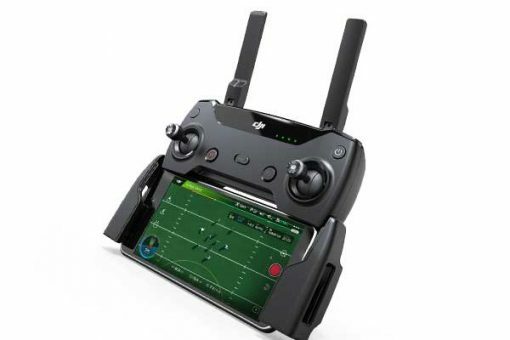 In the event the battery gets too low, you lose connection, or you hit the RTH (return to home) button, the drone can safely pilot itself to a preset point. The GEO system warns you when you are about to fly into restricted areas such as stadiums or airports. You should also stick to common sense safety precautions such as avoiding crowded areas and keeping the drone in sight at all times. Also, keep an eye on the battery. 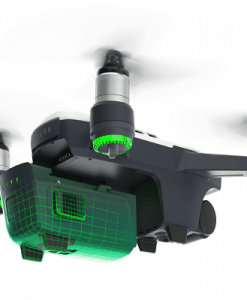 Based on battery life, the drone will tell you how much flight time you have left. But given the limited range, speed and flying time of the Spark, there aren’t as many safety issues like those associated with bigger and more powerful drones.